[Above: The capitol of Santorini is the village of Fira. In the photo above the village buildings are spread out along the top of the peaks of the walls of the dormant volcano. Image credit: Wikipedia, photographer Henry Hartley, August 2007) Below: Oia Village. In the Cyclades islands of the Aegean Sea. During tourist season, the island population dramatically increases from some 14,000 people to 70,000. The island is also the home of highly productive wine vineyards and wineries. Most visitors coming to Santorini (a name derived from "Saint Irene" which was applied to the island during the reign of the Venetians in the 13th century BC) lodge in the main town, Fira. Peak tourist season is between July and August. Size: 28 square miles, the highest point is 1,857 feet (566 meters) on Profitis Ilias. 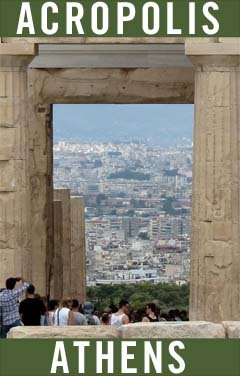 Daily ferry service from Piraeus and regular Olympic Airways flights from Athens to the Santorini airport at Monolithos. There are some archeological digs on the island (at Akrotira) that reveal multi-story homes and paved streets beneath the layers of ash from a volcanic eruption in 1450-1500 BC (the island was then known as "Stroggli") which wiped out the town and changed the shape of the island from a single round mass into five separate islands: Thira, Thirassia, Palea Kameni, Nea Kameni, and Nisida Strogilo. Habitation is thought to have ceased on the island for nearly 300 years following the destruction. Since no human remains have so far been found in the archeological excavations (ongoing since 1969), it is suggested the eruption was prefaced by warnings that caused the inhabitants to flee before the explosion. "...the volcanic island of Santorini (Therea in Greek). The worst eruption occurred is 1500 B.C. ; the latest in 1956, when all but one building in Phira, the capital, was destroyed. The town was rebuilt as it was, on the rim of the volcano, nine hundred feet above the sea. A monastery of the Prophet Elias crowns the mountain, and on the southern slope are the ruins of the ancient city of Thera with its Doric and Egyptian temples and homes. Directly below is the village of Perissa, which borders a black volcanic beach. The bottom drops off so abruptly that one can dive directly into the sea from the sand." Page 233, Portrait of Greece, by Nicholas Gage, American Heritage Press, 1971. Fresco wall paintings uncovered at Akrotira show classic imagery of birds, dolphins,and creatures from Africa which seems to demonstrate the island was a meeting place of ancient Minoan and African cultures. There is also pre-Christian religious imagery. The archeological work on Santorini is pursued each summer through the National Archeological Museum in Athens which brings students to advance the careful excavation. The discovery of the buried ancient town happened when the island was being mined for building materials fro the Suez Canal. Santorini is one of the Cylades Islands that also includes Amorgos, Anafi, Andros, Antiparos, Delos, Ios, Kea, Kimolos, Kythnos, Milos, Mykanos, Naxos, Paros, Folegandros, Serifos, Sifnos, Sikinos, Siros, Tinos, and many other much smaller isles which make up a group counted at 220 altogether. Only Milos and Santorini are volcanic in origin, the other islands are in fact submerged mountains. There are nine volcano's all together in Greece and the Greek Islands. Santorini is linked to various Aegean legends, one being that the volcano erupted approximately 3500 years ago, destroying Atlantis. Many historians suspect Santorini is, in fact, the remains of the ancient city-state of Atlantis. 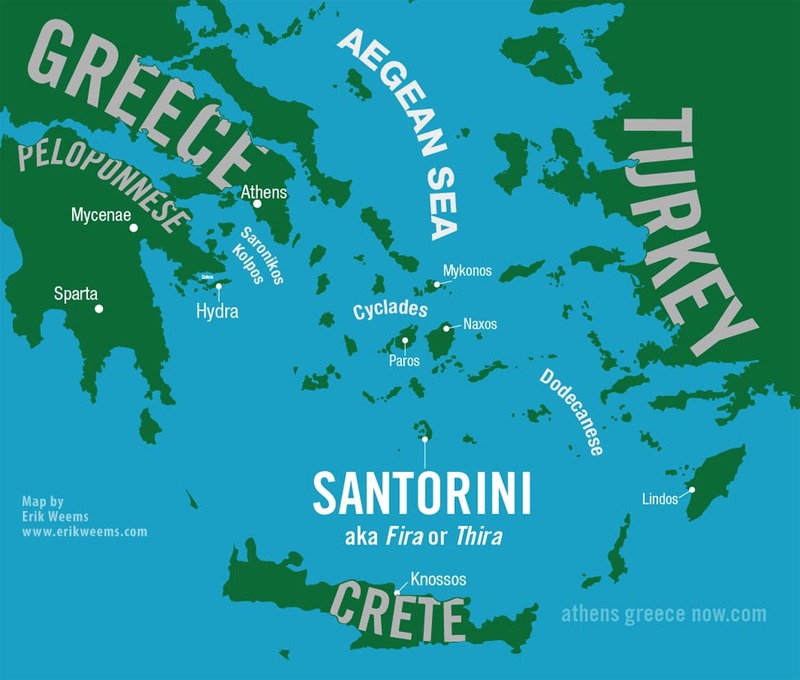 Scientists have speculated that the 1450 BC eruption at Santorini is responsible for the destruction of the Minoans on Crete, as the wreckage from he force of the volcanic eruption damaged much of the area of the Mediterranean. 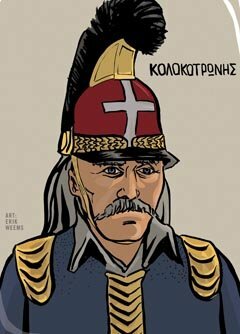 Santorini sets upon a meeting of the Eurasia and the African plates of the earth, accounting for its violent history. The volcano still emits gas and steam regularly that is measured at a constant temperature of 176 degrees Fahrenheit (80 Celsius), and slabs of lava and pumice are still seen throughout the island. The volcanic haze produced by this activity makes for startling sunsets and images of Santorini are used heavily in advertising for Greek tourism throughout the world. 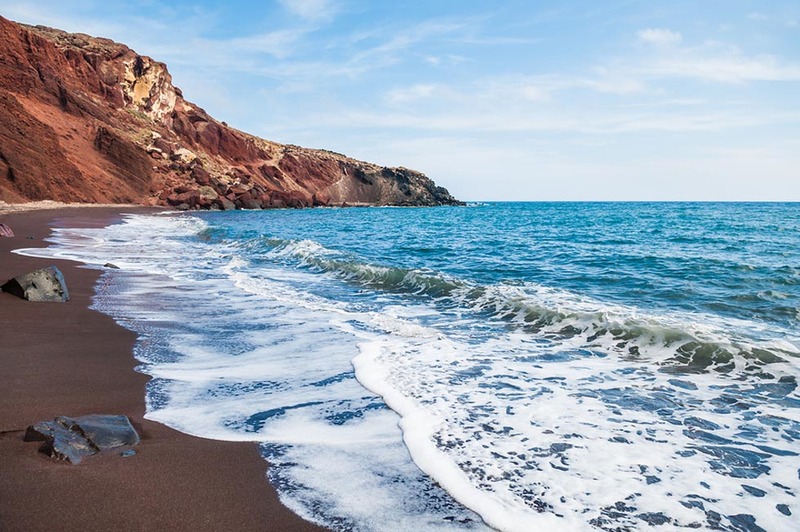 The main beaches on Santorini are Perissa, Kamari and Vlichada which are usually quite hot and footwear is necessary to tread the ashy sand. The official name of the island "Thira" is apparently derived from the leader of the settlement, Theras, that placed Hellenic culture on the island in 9th century BC. However, there are a number of alternative historical (and linguistic) theories about the origin of the name, most having to do with mythological tales. 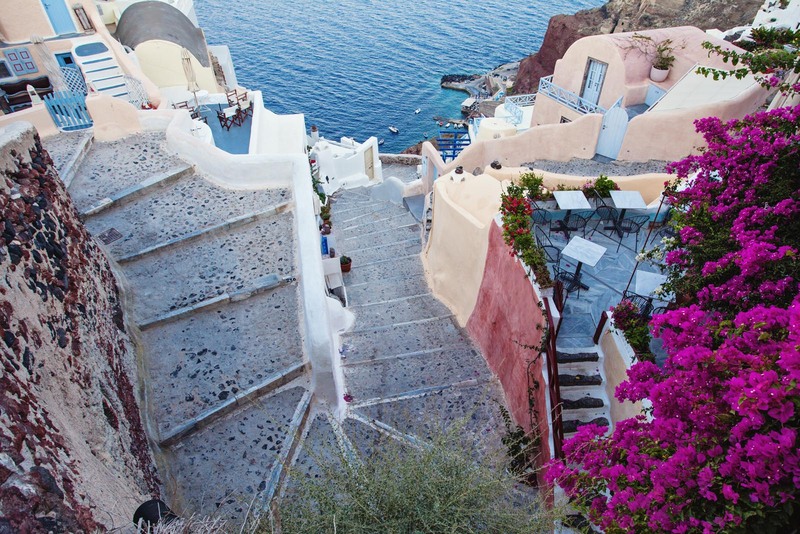 "Santorini is a physical melodrama, a sensation to the eye. It is the whopping exception to the rule that Aegean islands are more notable for their Greekness (such as the white houses of Mykonos) than they are for their natural formation. 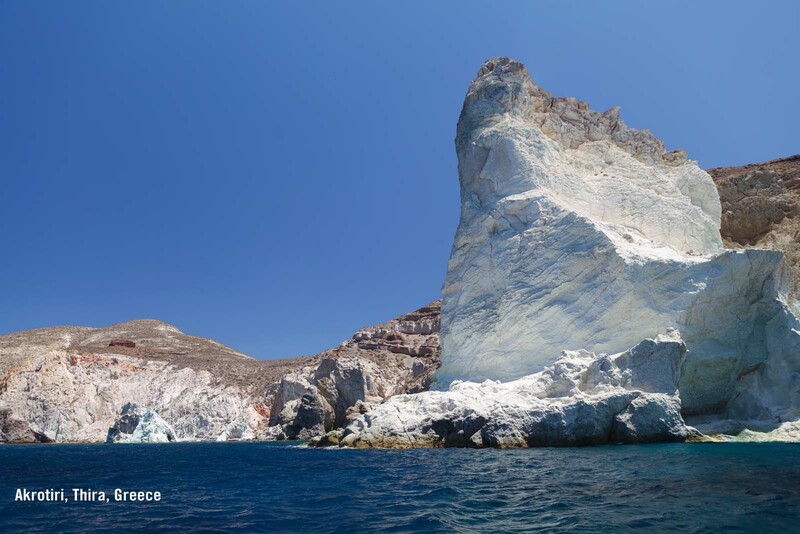 The cliffs that bound the western side of Santorini are like a petrified layer cake seven hundred feet high. 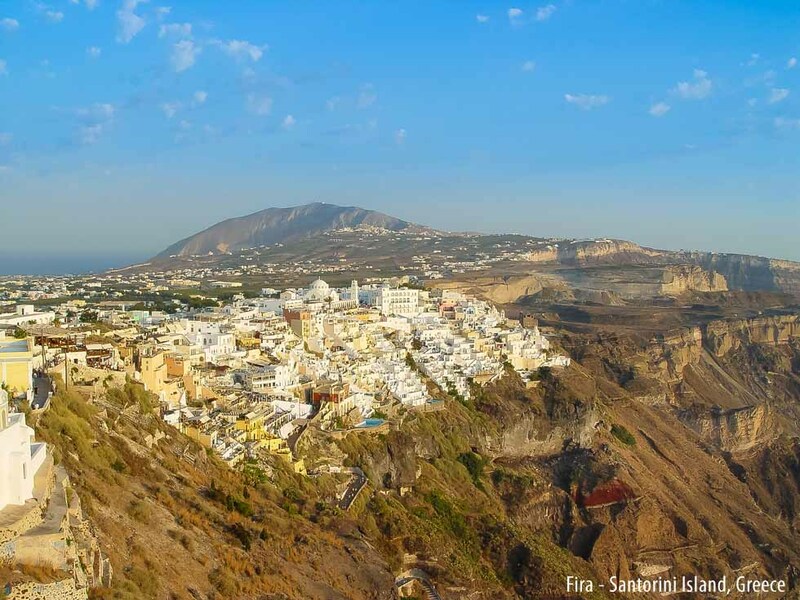 On top, the white icing of the town of Thira perches precariously and looks as though it may at any moment fall down the cliffs and into the sea. Parts of it frequently have. 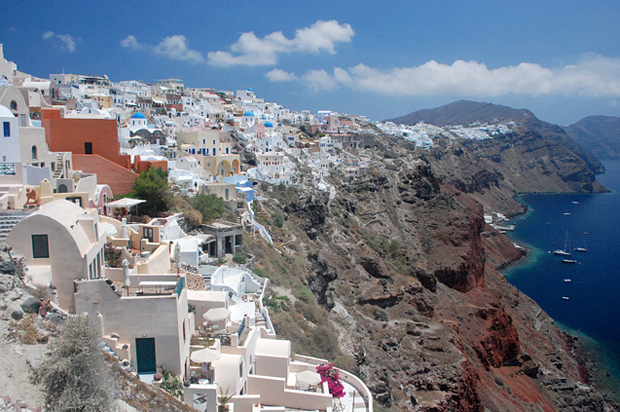 On Santorini, people have lived for thousands of years with earthquake and volcanic eruption. The island's name could be Cataclysm. It has so many names one wouldn't matter. To the Phoenicians who colonized it about 2000 B.C. it was Kalliste, meaning "most beautiful." 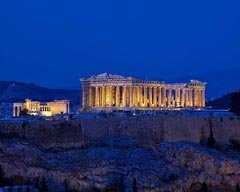 It had five other names, apart from Thira (or Thera or Phira or Fira), from the Spartan who conquered it about 1000 B.C. Then it became Santorin or Santorini, after St Irene of Irini. 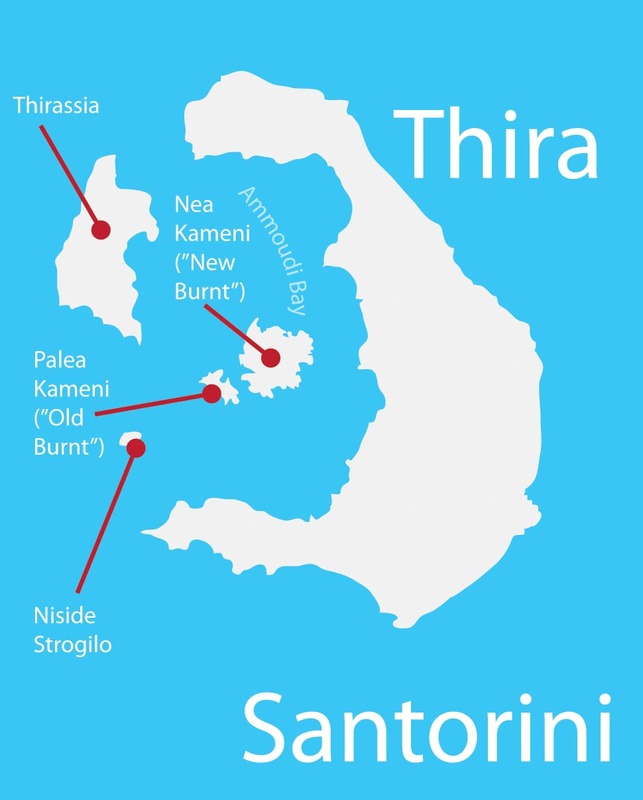 The old name of Thira, which the town retains, has been officially restored as the name of the island; but only officialdom uses it. 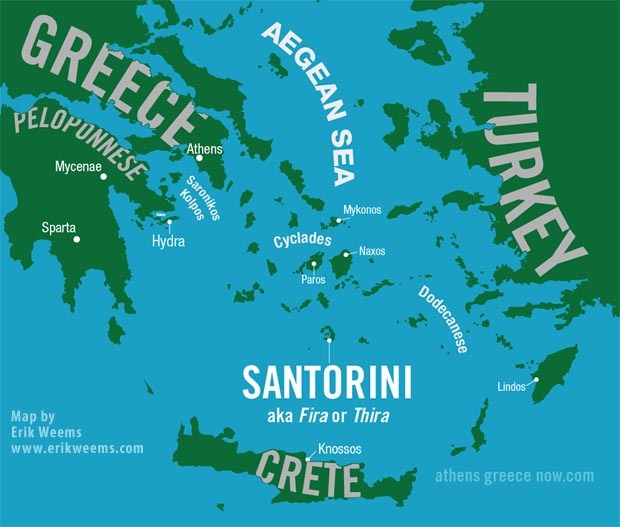 The Greeks call it Santorini, not Santorin. 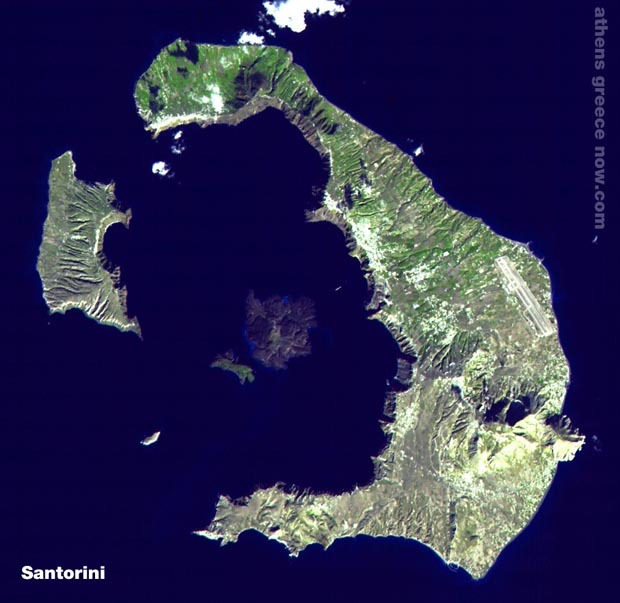 Santorini is also Atlantis, according to Angelos Galanopoulos, professor of Seismology at the University of Athens. He says it was Metropolis, the mother city of the Lost Continent. This engaging theory - - which has the academic respectability of having been propounded at an international science congress in 1960 at Helsinki - - appears to rest on what Plato said Solon said some Egyptian priests said about a sovereign kingdom that existed thereabouts 9,000 years before Solon's time, plus evidence drawn from mythology. However, if ever there was an Atlantis, and it wasn't in the Atlantic, Santorini deserves to have been part of it, after all the place has gone through. The island, what is left of it, sits on a submarine volcano. This has erupted a dozen times in the A.D. era, and four times in this century, in 1926, 1928, 1939 and 1950. But more damaging than any eruption since a great one in 16540 (the noise was heard ii the Dardanelles), have been earthquakes. 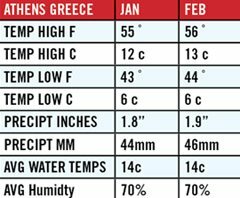 Numerologists might warn their children to warn their grandchildren to stay away from Santorini in the year 2056: in 1856 and 1956 the earth quaked so violently that about two thousand houses were destroyed on each occasion." From Greece, the Unclouded Eye, by Colin Simpson. Pages 80-81, published by Fielding Publications, 1968. 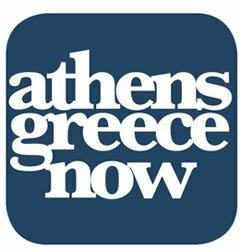 "...Guardians of the Aegean is a new film about overfishing in the Aegean Sea and the collective efforts of committed environmentalists to create a Marine Protected Area in Santorini. 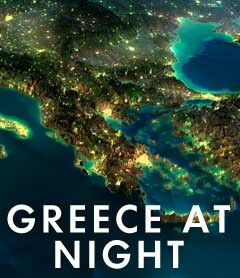 ...Pierre-Yves' love of Greece and passion for activism to protect the seas is inherited, of course, from his famous father who spent many years here, sailing on the famed ‘Calypso' and discovering what lay beneath the Aegean." 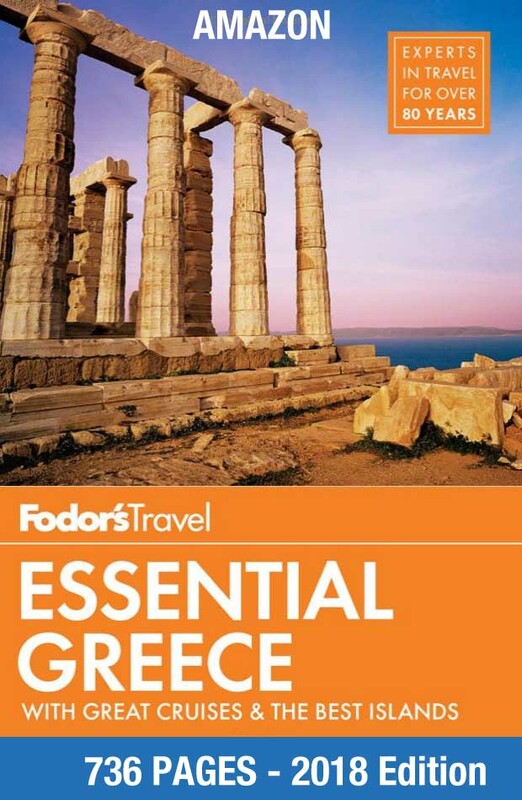 "Admire the blue water of the Aegean Sea and visit beaches with black, red and white sand. 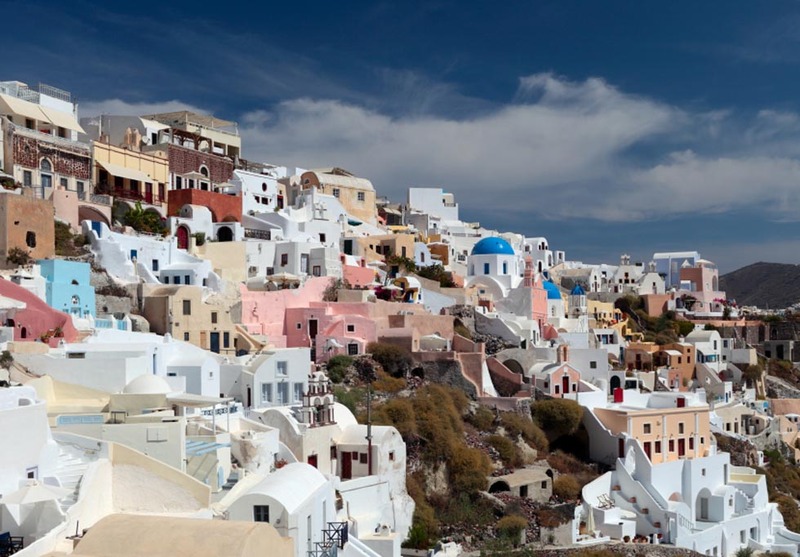 The blue and pristine white architecture of Santorini is another marvel to look forward to." "Now satellite radar technology has revealed the source of the symptoms. A rush of molten rock swelled the magma chamber under the volcano by some 13 to 26 million cubic yards (10 to 20 million cubic meters)—about 15 times the volume of London's Olympic Stadium—between January 2011 and April 2012. The ballooning chamber even forced parts of the island's surface to rise upward and outward by 3 to 5.5 inches (8 to 14 centimeters). The volcano has been quiet for 60 years, and these recent events don't indicate an imminent eruption, said geologist Nomikou Paraskevi of the University of Athens." "The survey compared the cost of accommodation in all European resorts during August and concluded that the most expensive destination is Playa d'en Bossa in Ibiza..."